Robert Reamer, famous for his 1904 design of the Old Faithful Inn and known as the “Frank Lloyd Wright of the Yellowstone”, designed the original Canyon Hotel buildings in 1910 to include long horizontal lines in order to mimic a natural outcropping, with elegant interiors to delight visitors. The hotel was abandoned in the late 1950's following World War II, and during the demolition process in 1930 a violent fire completely destroyed the remaining structure. Lighting fixtures were salvaged and installed at Frank Lloyd Wright’s Blair Residence in Cody, Wyoming giving the stained glass pieces new life, and creating a living reference for when Yellowstone Park was ready to build a new Canyon Hotel, more than 50 years after the fire. To aid in research, we uncovered historical postcards as reference for the Prairie Style Architecture and as a starting point in researching replacement lighting option. We heavily vetted all Edison lamp replacements to specify only LEDs that were hearty enough to withstand the winters while matching the original style. Due to the small construction window and remote location, modular units were constructed offsite in Idaho and shipped on a flatbed truck to the site. All lighting was pre-wired and arrived onsite ready for connection to the building power system. This process was repeated for all five new buildings. 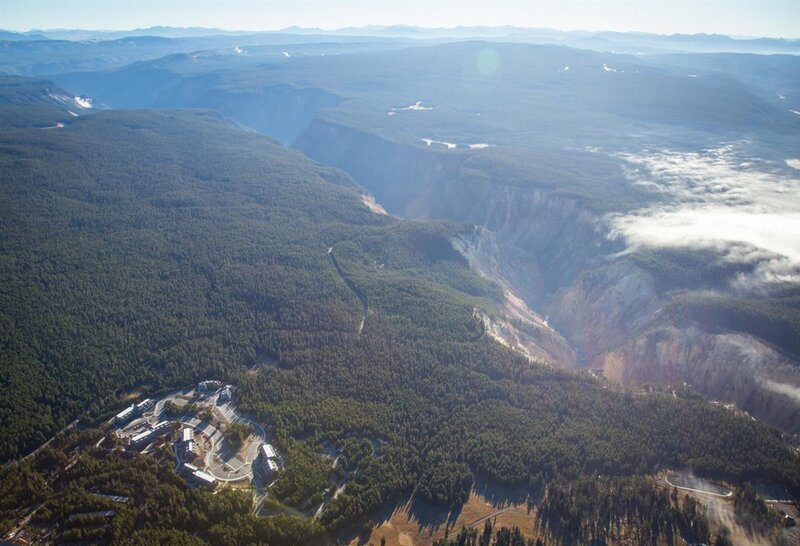 We took great care to specify fixtures that could withstand a 300 mile journey on the back of a rattling semi-truck and still serve future generations of Yellowstone visitors. Yellowstone National Park is a place unlike any other. Fixture maintenance has to be done by everyone between the ages of 18 and 81 so easy to maintain fixtures were specified, the whole building design has to withstand being frozen for 6 months so the lighting had to be resilient, and we had to work closely with the manufacturers to specify exterior lighting that could also withstand the weight of a buffalo rubbing against it. A lot of strategizing went into the parking lot areas with the tall poles placed in the center and strategic way-finding bollards around the outer areas. 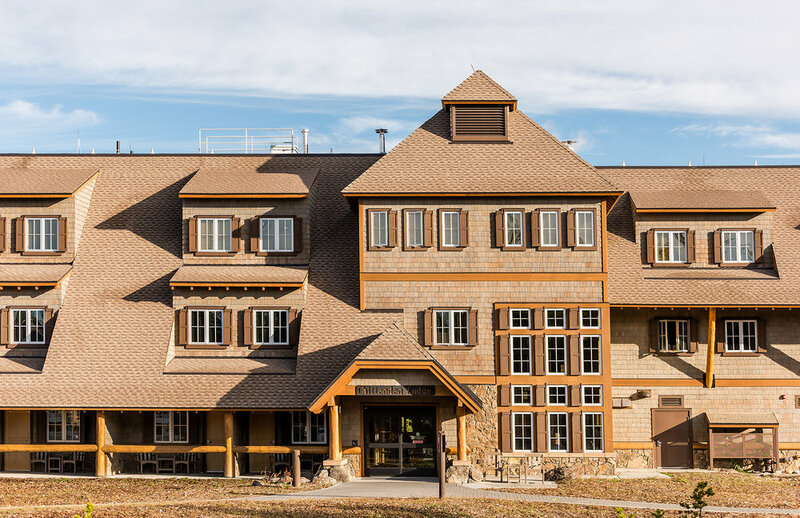 These strategies led to Dark Sky compliance, LEED Gold compliance and a BUG rating without sacrificing visitor safety, all while limiting wildlife disturbance.